This super cute puffin is made from incredibly soft material to make it lovable and perfect for cuddles. There is a baby puffin finger puppet in the pouch that can be used for storytelling. 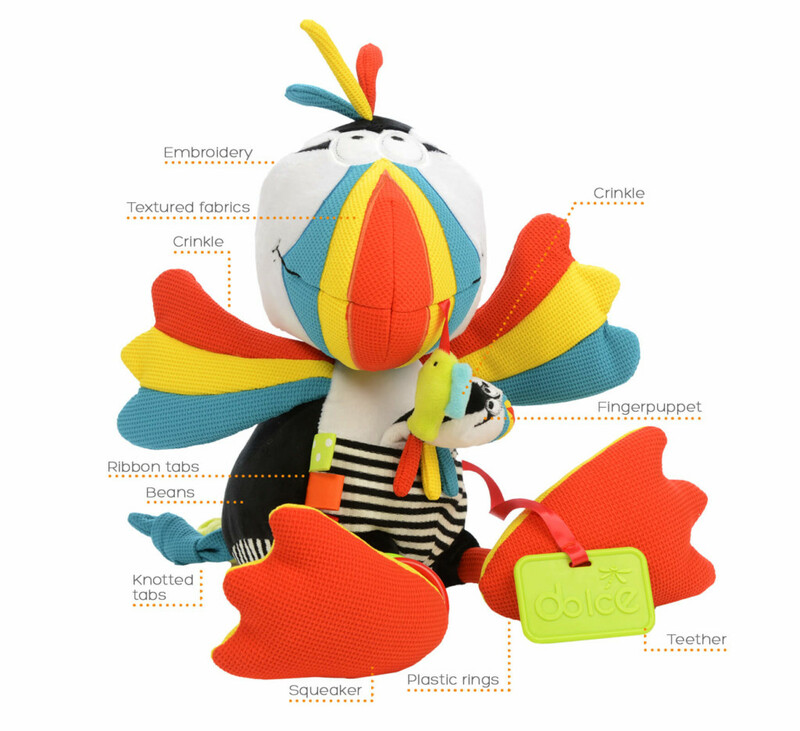 It has huge crinkle wings, squeakers on the feet and teether rings. • Sounds: Children will delight in creating sounds through using the squeaker and crinkle. • Finger Puppet: Parents are encouraged to tell stories to the children using the finger puppet. • Color: The variation of color makes them highly engaging for inquisitive babies. • Material: A high quality, safe design means babies can use different parts of the toy as teethers. 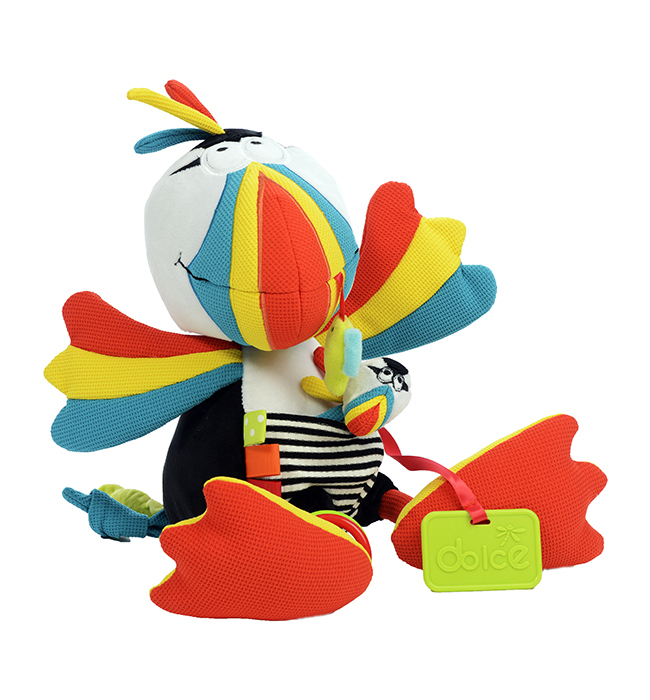 • Touch: The different textures, crinkles and squeaky beak are extremely satisfying for children to play with. • 3D design helps toddlers to discriminate different patterns by tactile play. • Helps to connect motor skills with auditory learning by squeaking and rattling. • Visual learning is provoked through color perception. • Parent child interaction will develop linguistic skills using the finger puppet. • Soft parts for use as a teether toy. © 2018 All rights reserved by Dolce Toys Ltd.